Stamped 304 stainless steel. 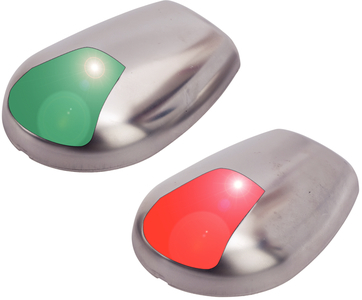 LED navigation lights are USCG approved. #10 FH fastener. Includes port and starboard lights. Size: 3-9/16"L x 2-5/8"W x 3/4"H. 2NM visibility.